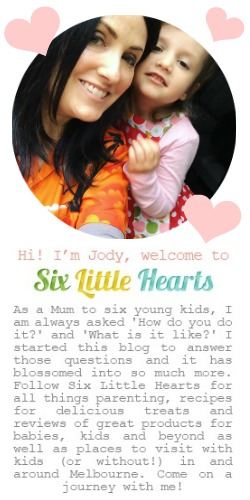 Six Little Hearts: Making Kids' Lunches Healthy and Fast Plus WIN With Uncle Tobys! Making Kids' Lunches Healthy and Fast Plus WIN With Uncle Tobys! 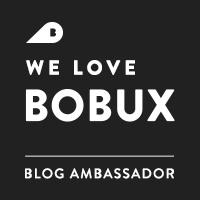 This post is brought to you in collaboration with Uncle Tobys. The battle of the lunchbox - do you fight it at your home too? 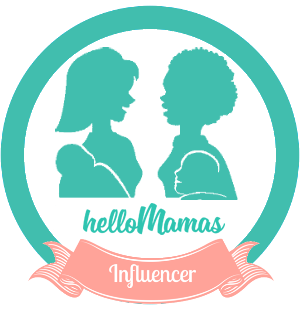 Each weekday, like millions of other mamas across Australia, I am up at the crack of dawn preparing healthy lunchboxes for my kids prior to school. I carefully vary my additions every day and try keep it all simple and appealing. There's always a wholegrain sandwich filled with meat or cheese. Then there's a piece of fruit, either whole or chopped in a container to entice my not-so-very-adventurous eaters. Lastly, I pack something home-baked and wholesome; some yummy cookies or a slice of cake with 'added benefits.' (AKA fruit, vegetables or nuts.) Plus a muesli bar. I have always viewed lunchtimes as the very best time to introduce the goodness of as many food groups as possible to my kids. Pretty early on in the picture, I noted that my children were typically fresh, hungry and more willing than at any other time of day, to consume whatever was on their plate at this midday meal. I can't say that trend has continued into the school years however. While it's not difficult for me to put a decent lunchbox together to this day, it is certainly a whole different story when it comes to getting my kids to actually eat what I've packed when they're away from home. (I'm sure you will agree on this too!) Despite my laborious efforts day after day, my bathroom wastebasket continues to spill over with mouldy sandwiches carelessly flung there by my kids. It's a nationwide phenomenon referred to as the 'boomerang lunchbox.' I am not alone in the lunchbox wars though and a recent survey has proven it. One of several mouldy sandwich culprits in this household. 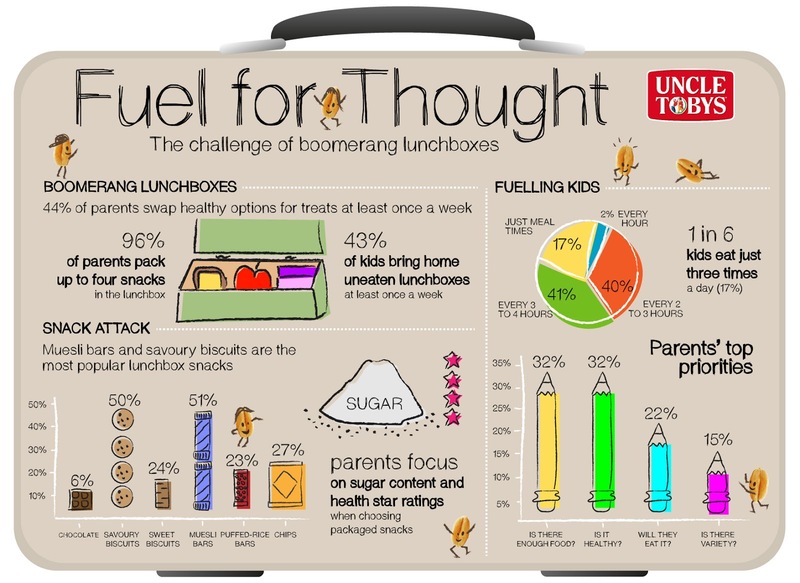 In the first major study into Australian kids' lunchboxes, (the Uncle Tobys Fuel for Thought Report), it has become apparent that many Aussie parents are struggling to keep their kids fuelled for the day. Almost half of the parents surveyed in the study reported that their child came home each week with at least one uneaten lunch. Not a great thing for little learners. Nutritionists have long-touted the benefits of regular snacking and the importance this plays in providing the necessary fuel for bodies and brains. It seems our kids are suffering from long stints between meals during school days. In fact, 45% of parents are providing unhealthy snacking options just to get kids through their day, instead of healthy ones. 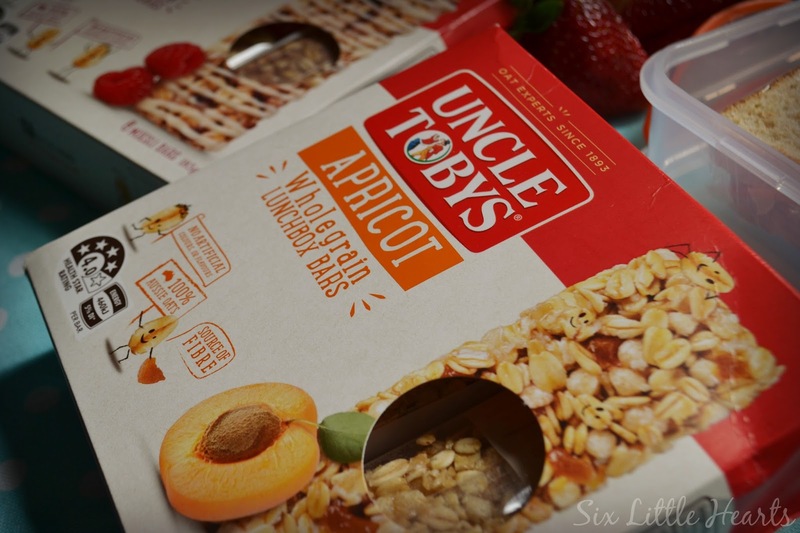 In light of this study, Uncle Tobys have recently overhauled their entire muesli bar range to bring them to a healthy 4 Star Rating. Muesli bars are a fantastic choice for kids to nibble between meals and now Uncle Tobys has made theirs even more appealing. The new range of Uncle Tobys Muesli Bars taste fantastic with an overall reduction in the sugar content and an increase in whole grains. Specifically, Uncle Tobys Chewy and Yoghurt Muesli Bars now have more whole grains, while the sugar content of the Yoghurt range has been reduced significantly. My kids love them too. So how can we make sure our children consume their lunches? Well, according to the experts, start by including the right choices in their lunchboxes. Apparently, the most successful lunchbox offerings are those that have your child's input: Offer your children a selection of the right options and let them make their choices from those presented to them. It's well-known that kids who have played an active role in the preparation of their food are more likely to consume their efforts. To make a successful lunch together, keep it simple and get your kids involved in the planning of their food choices for recess and lunchtimes. 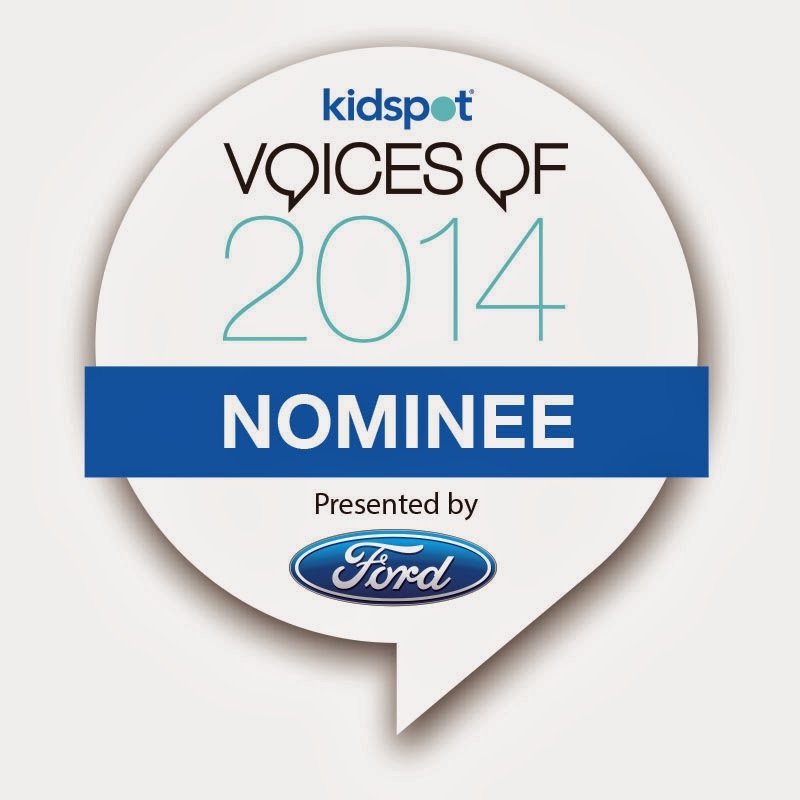 Consider offering up to four options that are nutritious and invite your children to decide according to their tastes. Make fruit and vegetable options appealing. Past experience has proven peeled or cut fruit in containers has far more chance of being consumed than a piece of fruit in its natural 'whole' state. Finally, make sure food containers and wrappers are easy for children to open. I've been tossing an extra muesli bar into the kids' lunches for a few weeks now to keep them fuelled. In addition to adding an extra source of fibre to their diet, I'm appreciating the convenience in these hectic end-of-term weeks. You can find the new and improved Uncle Tobys Muesli Bars at your supermarket. 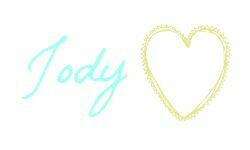 Learn more about Uncle Tobys on their website. Do your kids have boomerang lunches? How many lunches come home each week untouched in your household? What do you typically pack into your child's lunchbox? 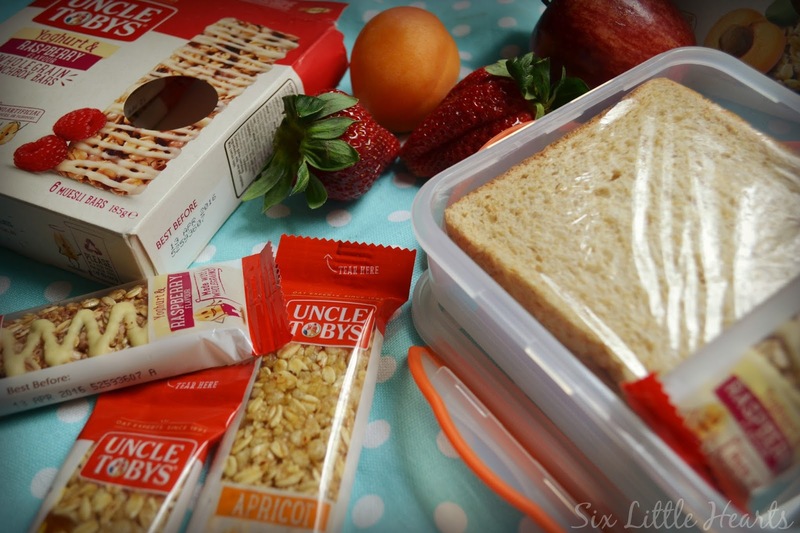 Uncle Tobys Muesli Bars to kick-start healthy snacking habits in your children! Each case contains 60 bars valued at $40 each. 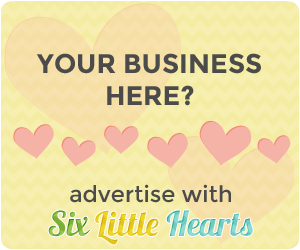 Three followers of Six Little Hearts will have the opportunity to win one of the three prizes. 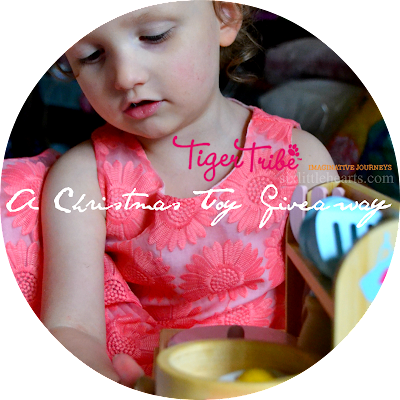 Please note, due to the Christmas season, there may be a small delay in receiving your prize if you are a winner! 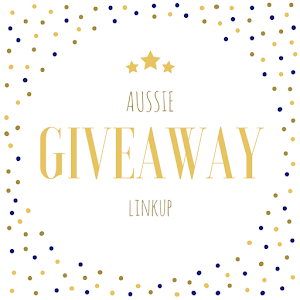 Please note: You must leave a comment along with your name inside of your comment to enter this giveaway. This is a game of skill. Entries that do not contain a name within the comment box are unable to be matched and are void. 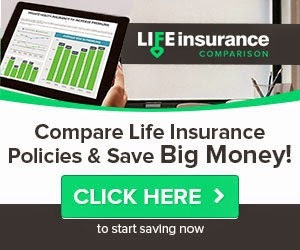 Please share this post on your social media with your family and friends! All options are below. 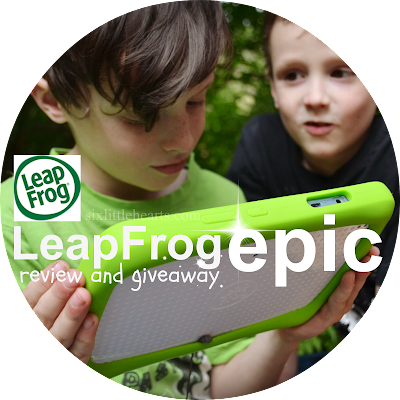 LeapFrog Epic Review and WIN a LeapFrog Epic Valued at $199 for Christmas! 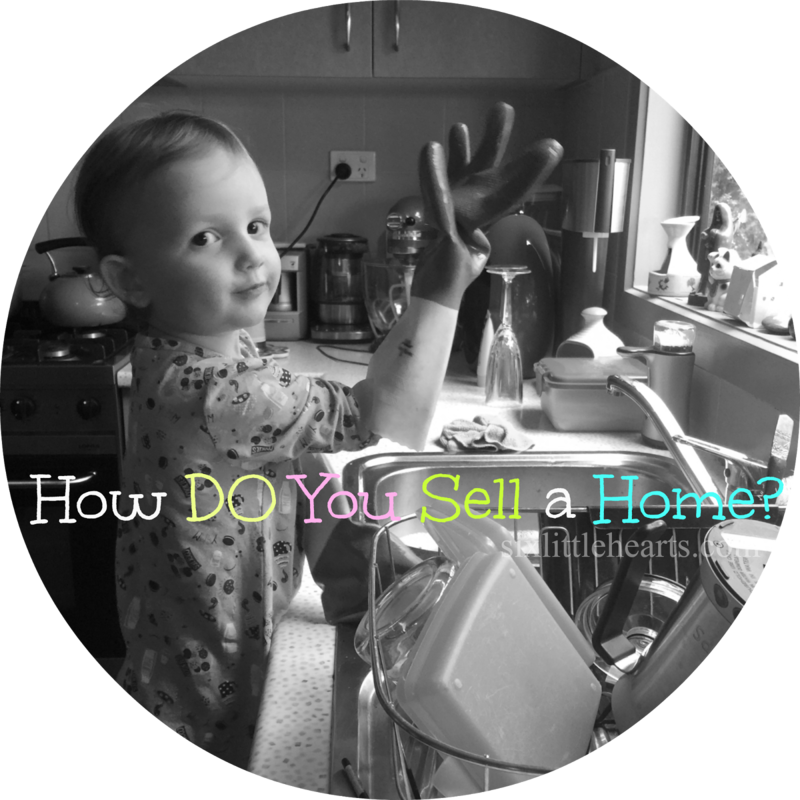 How Do You Sell a House? Uncle Tobys is a regular in my cupboard. I'm pretty lucky with my kids, they'll eat most things I pack for them! The usuals are sandwiches, fruit, yoghurt, veggie sticks and dip, cheese and crackers, pretzels, and I've just started making my own sushi, so that'll be getting included next year once the kids are back at school! It makes no sense to me but the kids save their lunch for afternoon tea, preferring to snack during the day so at lunchtime they can play! I pack sushi for the kids lunch during winter, all their school friends are apparently nori-green with envy! My kids make their own lunches which helps them actually get eaten. I'm also eternally grateful for schools doing brain food, because then I know that the fruit won't be ignored. At the moment we're spending the bucks on blueberries, raspberries and blackberries, just to get the teen to eat some fruit! I like to include fruit and sometime a yoghurt dip! In summer, frozen grapes, I mean the kids already suffering from stuck at school exhaustion, they don't need to be stuck with heat exhaustion too! I never had a problem with my 3 Kids eating & Taking lunch to school, apart from my fussy 15yr old in High School....He will not even take a sandwich and when he was made he was coming home with them and hiding them in his room after a while I could smell the most awful smell wafting from his room so I investigated...... it was rotten mouldy sandwich's about 10...It was so disgusting and so hard to get rid of the stench in his draws,lol. Haha! I had a similar experience with my teen son's schoolbag a few weeks ago - yuck!! I don't have to pack lunches for the kids, but when we're out and about and adventuring I usually have crackers, a piece of fruit, a sandwich and a treat. You really can't go wrong with Uncle Toby's. The girls love muesli bars. At the moment school lunches are a ham sandwich, cherry tomatoes, hommus and crackers and a pear. My eldest (age 7) eats anything and makes her own lunch, so that is easy. My middle (age 4) is fussy, but lunch is all good, because she loves bread - so sandwiches are a breeze. And my little one usually eats whatever I do. We make lunch box treats together which is really nice mostly and at times frustrating LOL! I find getting them involved with the cooking process helps in getting them to eat their lunches, as there was a time that nearly everything would come home again. Mini sausage rolls and quiches are quick and easy, great for the kiddies and we do add grates veg to make them a bit more healthier. They also have some fruit and anot after lunch treat, home made slices or cakes if we've made them but if we are running low I usually chuck in some Cobbs popcorn and a muesli bar! Great ideas Sarah and you are our third winner - congratulations! 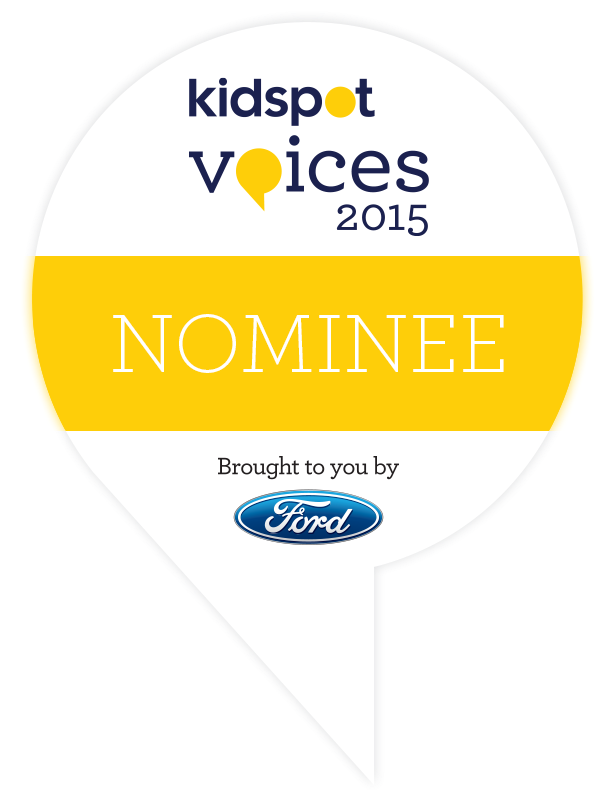 Thanks to everyone for entering - there are some great ideas here! Finger foods are a winner with mine: Cherry tomatoes, cheese cubes, grapes... Anything that can go straight into the mouth. 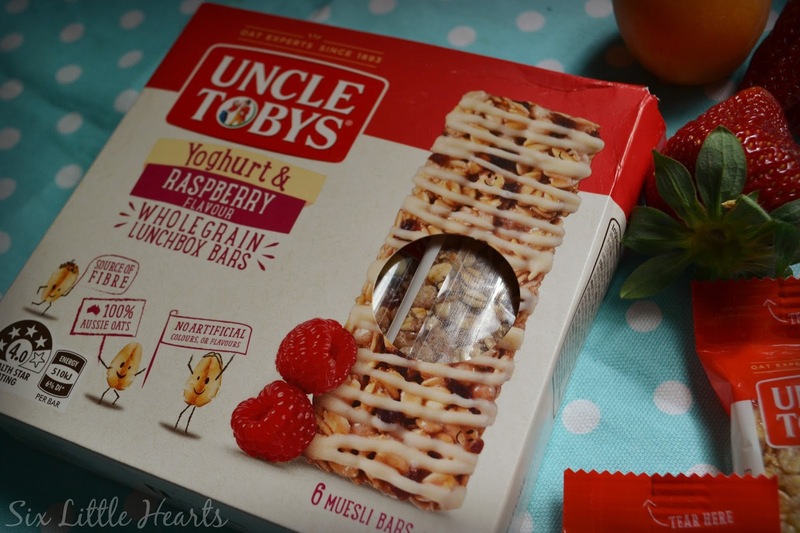 Uncle Tobys Yoghurt and Raspberry Muesli Bars would go down a treat! Usually not much problem with lunch box snacks, sandwich, mini pies, quiche, muffins and fruits. I would love the yogurt & raspberry muesli bars sounds deliciously amazing. 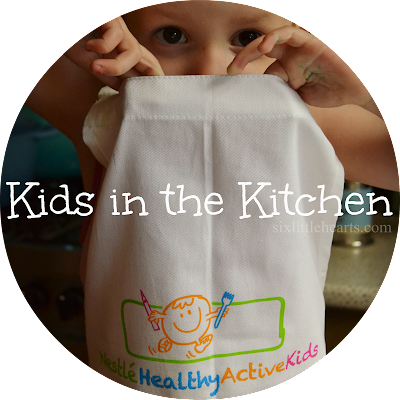 Fruit is always in my kids lunchbox as is something sweet to bribe them to eat their fruit! My kids can be fussy eaters sticking to the particular foods they like. I wish they would enjoy a little more variety. cheese, corn thins and cabana!! Wow that is fuel for thought and it is great to se Uncle Toby's making changes and listening. These look great and I have to admit I really need to look at the sugar content in my kids snacks a lot more! Cheese, yoghurt and sandwiches, she will only eat ham and cheese or honey on them, she doesn't like to try new things. She makes her way through all of these!!! my little man is such a fussy little eater and some days he just eat buttered bread I am worried next year with the start of school he won't eat his lunch. And I add cucumber and cherry tomatoes, to boot! At home, in a fruit bowel, fruits grow mould and die...! Even their healthy-food-phobic mates pinch a few! Because they like every flavour and variety! 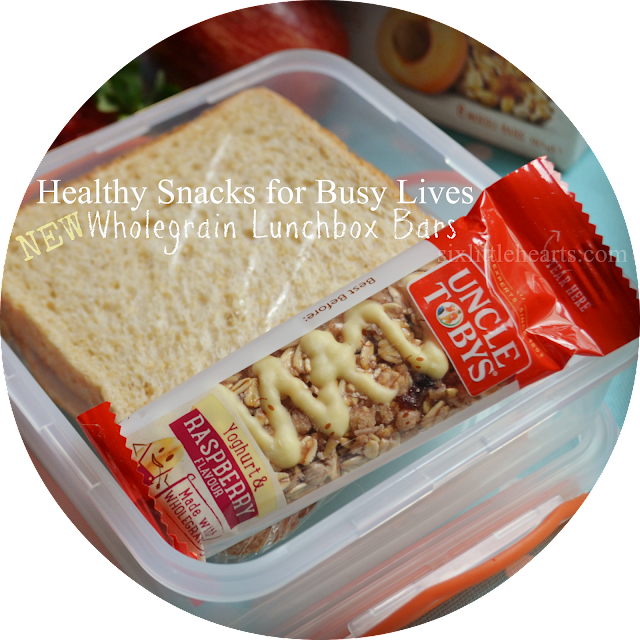 I love to include some protein, greens and high fibre carbs such as Uncle Tobys wholegrain bars. I always include a sandwich, a piece of fruit that they have chosen, and a cupcake that they have helped me made. I find that the more they are included in their lunches the more likely they are to eat them. 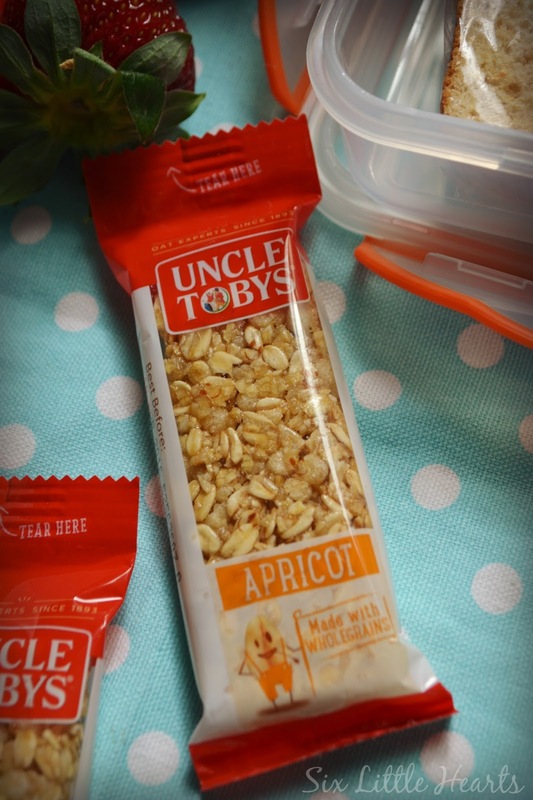 Uncle Toby's muesli bar, Fruit juice, a piece of fruit and a treat made from home. I include some fresh fruit and vegetables along with some cheese and sometimes yoghurt. I get the kids to pick what they want - more chance of them eating it then. 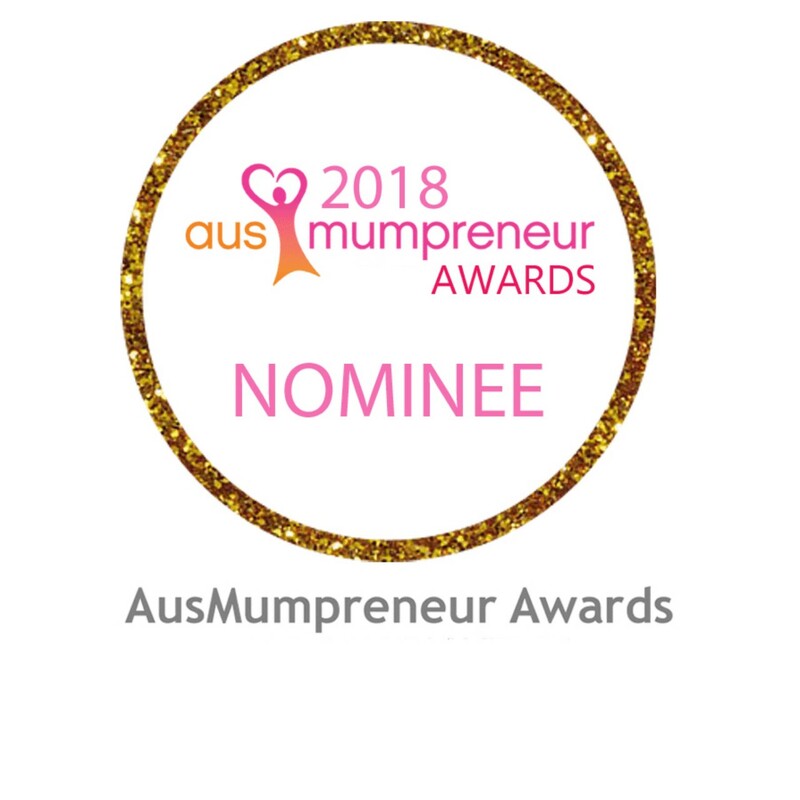 I love adding a homemade muffin or cupcake as a sweet street as well as some fruit, bag of chips or popcorn with a yummy sandwich and a muesli bar! DIP! It's my secret weapon! Those carrot sticks, celery sticks, crackers etc that always got avoided are now always eaten ever since i started adding a little container of tatziki or hommus to their lunchboxes. Homemade muffins and slices and of course Uncle Toby's muesli bars! I don't like putting yoghurt in at all! And they love them to bits. Yum, love these bars. A great snack! I get them to choose a couple snacks and Fillings for the sandwhiches that way I know they are eating what they want. I don't force them but I do give them healthy choices with treats. Most of the time it's a banana but my child like all fruits. 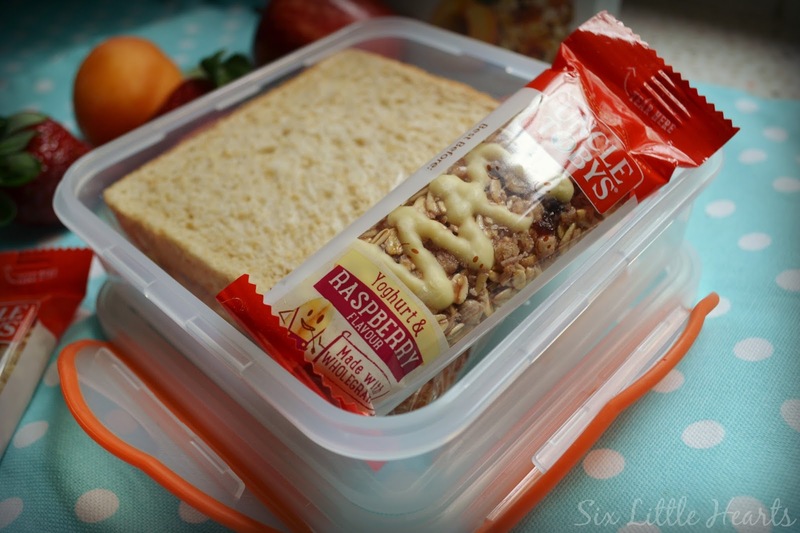 We love all flavours of muesli bars and along with fruit they are a regular in our lunchboxes! Kids love their lunches attractive, colourful and bright. Decorated, lots of variety, home-made , fresh and always tasty. Lots of fruit , vegetables displayed to entice, healthy all wrapped up looking nice. Cleo Sids, yoghurt bars. A couple of months ago, on a school night, I let my kids stay up late to watch "the sugar show". Since then, they always check the labels, and compare sugar content :) We make "healthy" muffins, with carrot, zucchini (but there needs to be absolutely no, no, NO green showing) otherwise it doesn't get eaten. I have a VERY fussy eater. No meat included ARGH! Not fussed on sandwiches or wraps so it's usually yoghurt or some homemade cinnamon raisin bread. School has fruit break during class time which has been amazing for getting her to eat more fruit. Including apples. I gave the class an apple cutter which really improved the amount of kids bringing fruit and apples in particular. I try not to stress over it too much as it makes her anxious too. 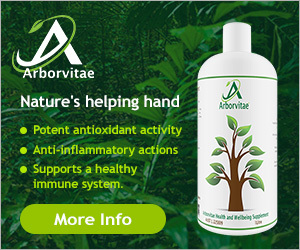 She gets her vitamins every day and is healthy and happy and that's what counts. Mason Jar salads are a lunchtime winner in our house. Colorful, can be made ahead of time and the kids love adding dressing at lunchtime to their jars they help create! Miss Nine gets a similar lunch most days - crackers and cheese, vegetables and maybe a small frozen yogurt for recess. For lunch, it's always a tomato sandwich, fruit and something sweet, usually homemade cake, slice or biscuit. Phillip Cunningham which is me gives my little ones fresh fruit in their lunch. My daughter insists on an apple (has to be a Granny Smith, Muesli bars are very popular with hubby taking one a day to work also. The variety is in the mains with possibly a sandwich, a wrap or some wholegrain rice cakes/crackers. Apricot Muesli Bars are a favourite in my household. Uncle Tobys has been a staple in my pantry for generations, it's been a godsend for myself, mother and grandmother, all hard working, no fuss women, doing it tough. Knowing Uncle Tobys is taking care of the nutritious snacks is enough! Fruit, sandwich, baked treat and yoghurt. I find as kids get older they eat less and socialise more so need to ensure they like what is in their lunchbox. This fits in perfectly with my New Year Resolution to reduce our sugar intake. Lots of little things chopped up- ham, cheese, grapes, kiwi fruit, pita bread, hommus. Little fingers and little mouths love little pieces of food! Basically millions of things, as who knows what mood they will be in today? Lots of dried fruit, fresh fruit, a muesli bar, popcorn, sandwiches. You name it, they have it! (Laura Carey) There is always a sandwich, plus some vegies (carrot sticks, cucumber sticks, snow peas for example), some cut up fruit, and a 'treat' (a homemade cake or slice). Although one of my daughters always manages to eat her treat but is "too full" to finish her vegies! Uncle Tobys Museli Bars Kristy Tripney. I try to be creative with lunches but my kids complain they don't want to sit long to eat because they just want to go and play!! Therefore, museli bars are a popular lunchbox item. My 3 year old son is a grazer. I usually give him a platter with fruits, crackers, cheese and sultanas to choose from. Sandwiches and tubs of frozen berries are winners with my kids. 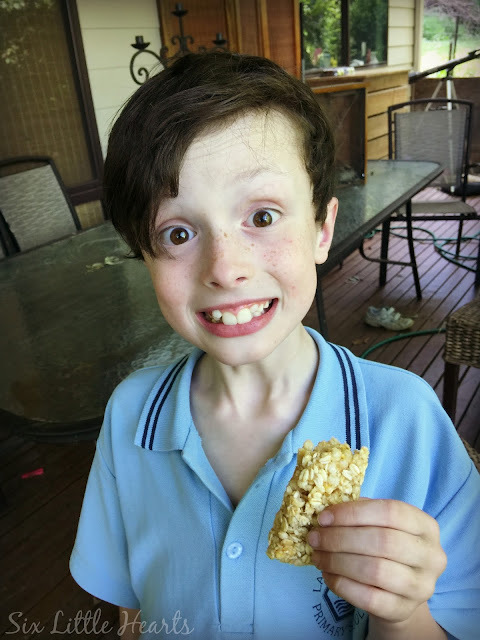 My other (older) son used to skip lunch in yr 7 because it was not cool to eat a cut lunch - that's peer pressure for you! 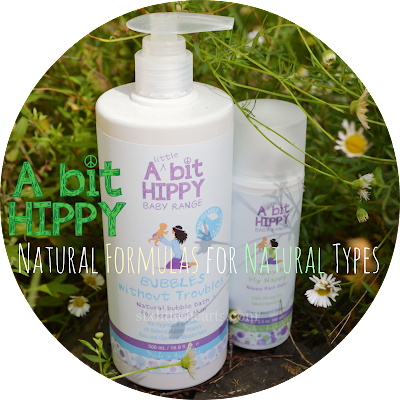 A crate full of crunchy goodness for kids with Mums on the run. The battle of the lunch box? Its sounds like battle with syria. There are many ways of preparing lunch at home and it is good for health. Yes, but preparing or decorating lunch box for children is like battle.